The Team Edge specializes in finding solutions for sellers with seemingly impossible real estate problems. Our goal is to tailor an offer to fit your individual needs. You’ll get a fast, friendly response to evaluate your property, and a fair price, no-commitment offer on your property. Whether you need to sell your home quickly, are behind on your payments, have bad tenants or tax liens, we can find a solution that makes sense. We buy primarily in Maryland, but have certified funds to invest quickly, anywhere in the United States. We strive to provide reliability, responsiveness, integrity and attention to detail as we see the sale of your property through to closing. We create unique and valuable solutions for our customers. 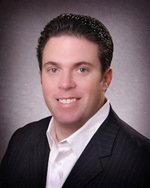 Real estate acquisition, investment and renovation expert, Bill Ames is owner and CEO of The Team Edge. Bill is a Baltimore native and has lived in Maryland all his life. Over many years of investment experience, he has developed an eye for finding solutions to complicated real estate situations along with a passion for the real estate business and all involved. As a real estate professional with decades of experience, Bill is dedicated to providing all customers the best possible service to meet their needs. In addition to TTE Properties, Bill has been instrumental in the Baltimore Washington Investors Meetup, a networking group that supports individuals and small business owners in navigating the real estate market in Maryland — as well as introducing strategies about investing in real estate throughout the Washington, D.C., and Maryland areas. Aligned with Owner & CEO Bill Ames, Frank works with most any type of property: commercial, residential, rundown, new buildings, waterfront, farms, land, apartment buildings & multi-unit properties, non-conforming, lots, restaurants, warehouses and entire estates. Via TTE Properties, he also offers commercial and residential properties for sale or rent to homebuyers and investors, both move-in ready and/or in need of repair; as well as renovation and restoration services for properties in any condition. 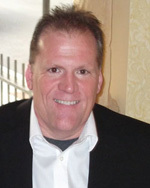 Frank was born and raised in central Maryland, and has worked in the residential real estate industry since 1999. His previous career background includes working in commercial concrete on such diverse projects as churches, office buildings, condo conversions, apartment buildings, remodeling and renovations. At TTE, he oversees the company’s acquisitions, while managing and commandeering rehabilitations. Frank is always happy talking about real estate and is here to answer any questions his clients might have.